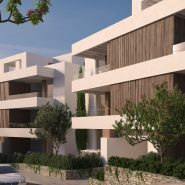 UNICO BENAHAVIS is a small-scale new project with only 24 luxurious, innovative modern style apartments and penthouses, situated in the municipality of Benahavis. 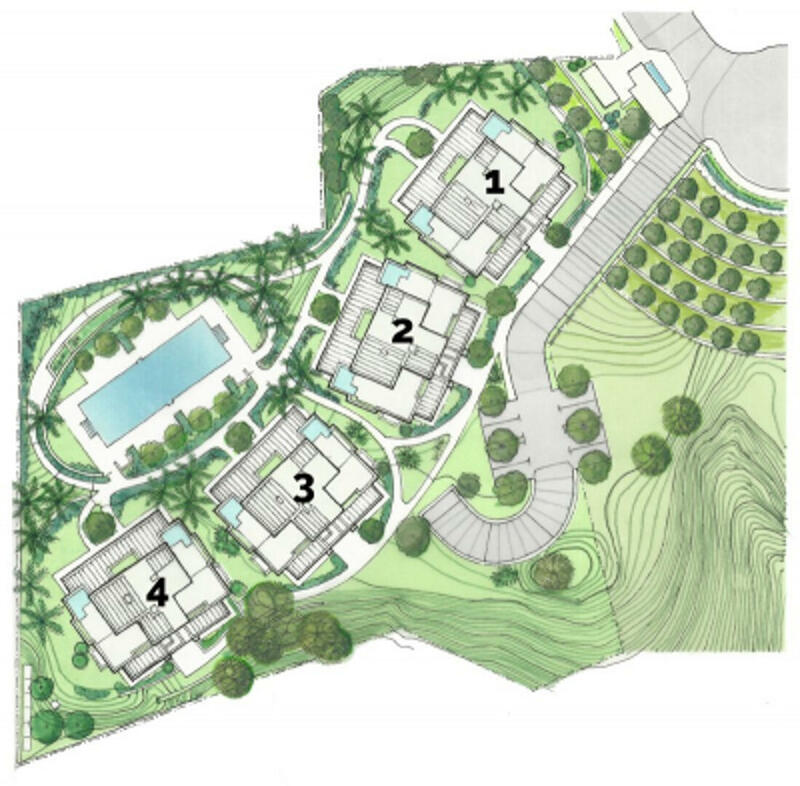 Dwellings from 143 to 299 m2. 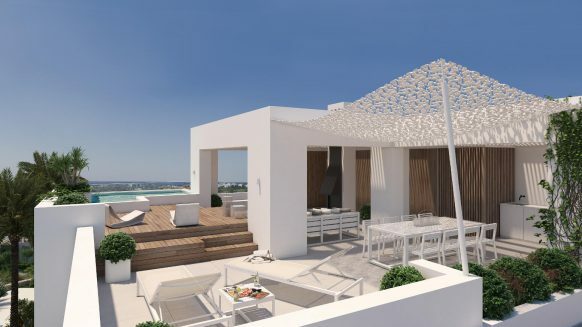 Apartments with either 2 or 3 bedrooms or 3 bedroom duplex penthouses, all benefit from spacious terraces and private gardens, designed to enjoy both outside and inside living. 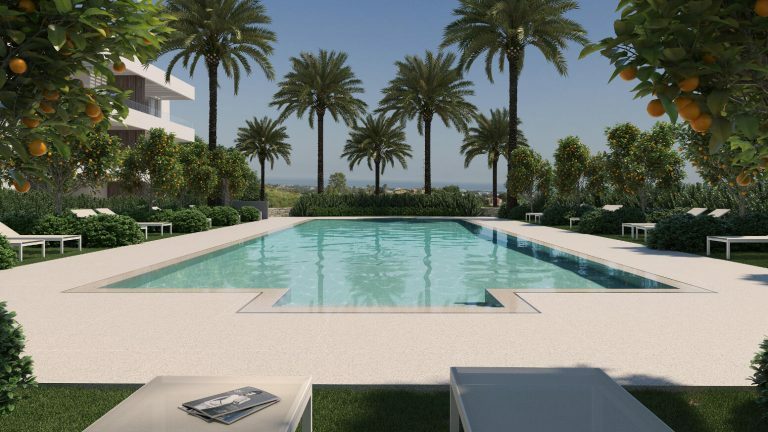 In short, a “boutique project” on one of the most prestigious destinations in Europe, whose magnificent location offers spectacular panoramic views of the sea and the mountains in a beautiful setting surrounded by nature and golf. 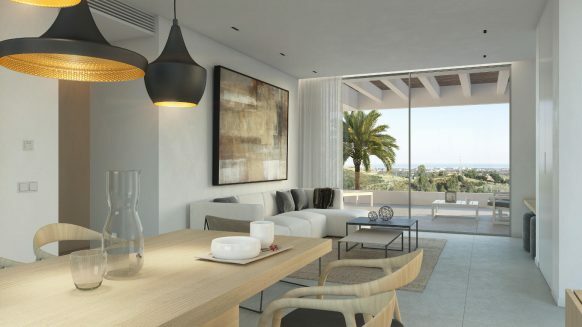 The apartments of Unico Benahavis have an open-plan layout with natural communication between the rooms, to value the concept of space with the freedom of as few visual interruptions as possible, so you can fully enjoy the surroundings. 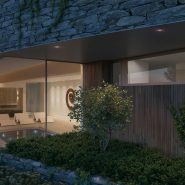 All the rooms provide outside access and the carpentry from floor to ceiling disappears almost imperceptibly to conceal itself in the walls. 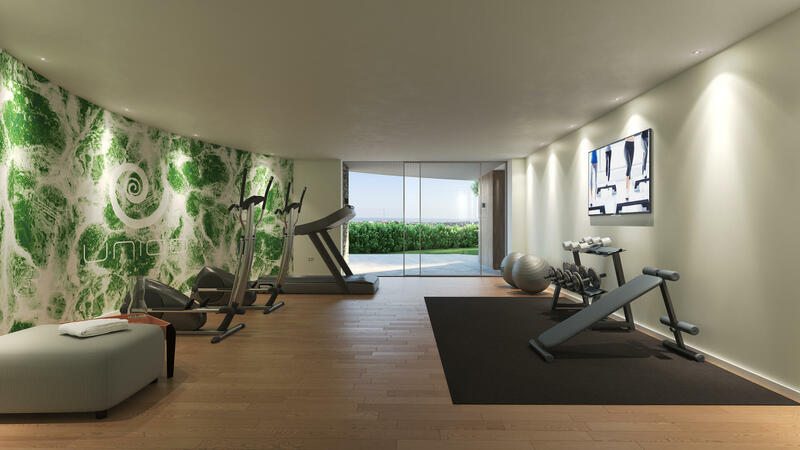 Apartments are equipped with high-quality materials, ergonomics and energy efficiency in mind. 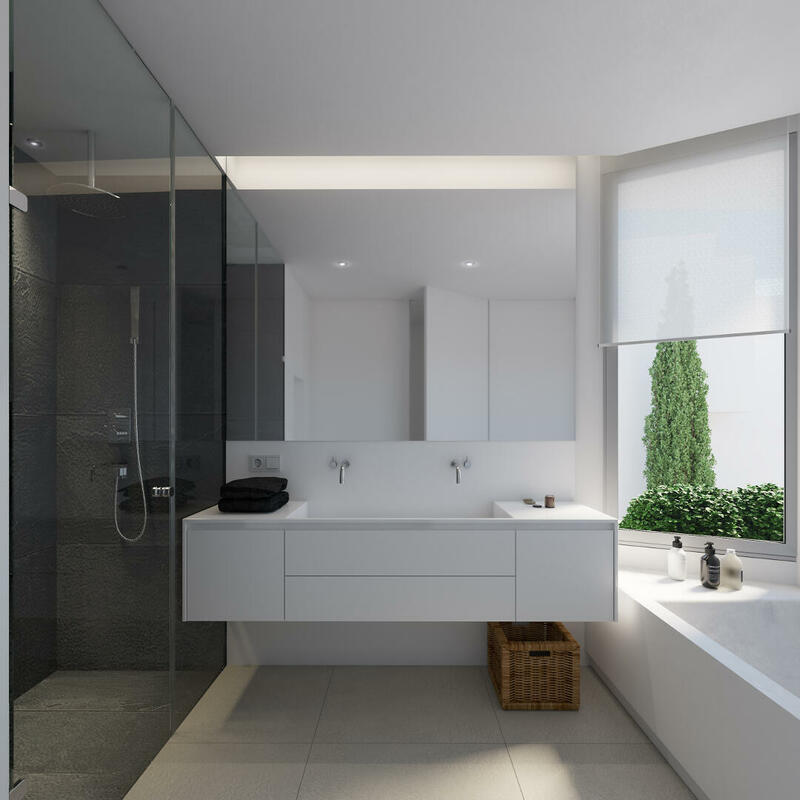 LED interior lighting, security doors and windows, fully equipped kitchens and laundry rooms, radiant heating systems, hot -cool aero thermic air conditioning and insulation that has been carefully chosen to reduce consumption. 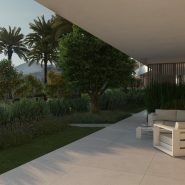 The gardens of Unico Benahavis have been landscaped to a reinterpretation of the old Moorish gardens with walls of stone; planted with fruit trees and aromatic plants, it affords privacy while stimulating the senses. 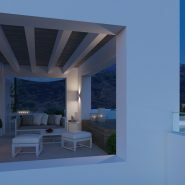 To assist in a healthy lifestyle Unico Benahavis offers two pools: one outdoor and a heated indoor which, thanks to great windows that slide back into the wall, the pool merges into the garden. 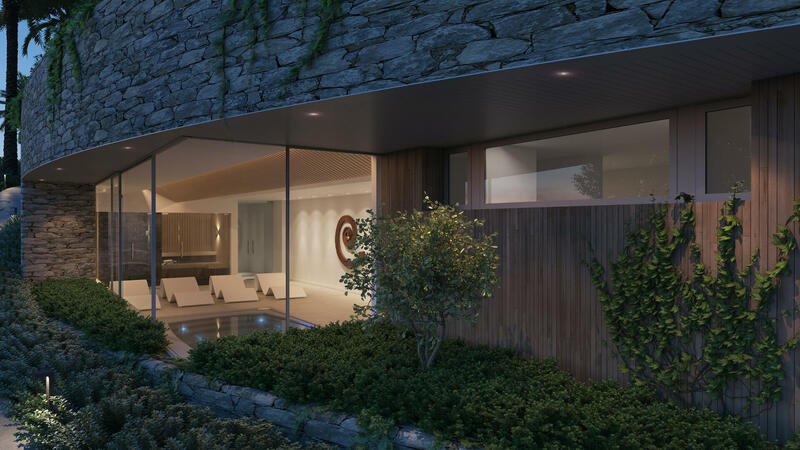 Likewise, proprietors will be able to avail of a spa area with sauna, Turkish bath, thermal shower and a perfectly equipped gymnasium. 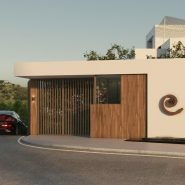 Unico Benahavis will also be the first cardio-protected residential complex in the area, thanks to the installation of a mobile defibrillator with geolocation and personalised 24h telephone assistance. 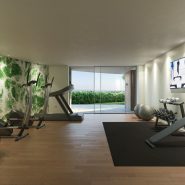 An underground parking space and storage room are included in the sales price. 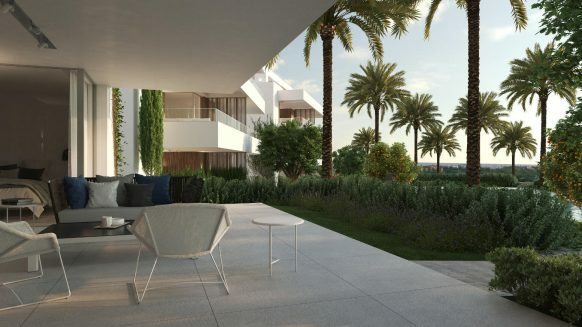 Located less than 5 minutes away is a superb collection of golf courses including Los Arqueros Golf and El Higueral on its doorstep, aswell as numerous other prestigious courses in the area. 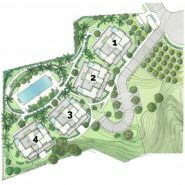 A variety of international schools, supermarkets, hospitals and medical services are just a few minutes away. 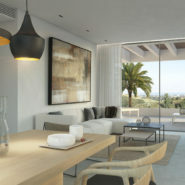 The project is in close proximity to Marbella, Puerto Banús and Estepona. 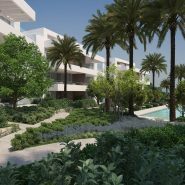 UNICO Benahavis incorporates a sophisticated project of sustainable construction certified by BREEAM. 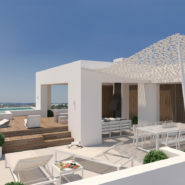 Would you like to receive the plans of an individual apartment or perhaps you would like to visit the building site? 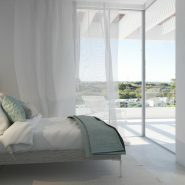 Contact us, we would be more than happy to arrange this for you.